Used Gavin dress with an updated skirt made in 2011. Hundreds of crystals throughout which makes dress very sparkly on stage. No stains or odors of any kinds. Great condition. 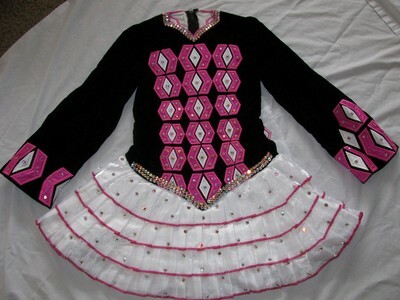 Dress fits 5′4″ dancer who weighs approx. 115 lbs and wears junior size 0-2. Room for let out. Asking Price: $US850.00. Shipping costs are included for my own country, overseas shipping is extra. Sale is final.